If the premise of Vigor — survival in post-apocalyptic Norway — sounds familiar, it might be that you remembered seeing it at E3. What you might not remember, and that we didn’t realize until today, was that the Xbox One exclusive title from Bohemia Interactive is scheduled to be free-to-play. So, let’s talk about it! According to the description on its website, Vigor is set in 1991 after a nuclear war has devastated central Europe. “Norway has become the last stand” for survivors, who will be able to create bases from which to launch their scavenging runs and, one would presume, defend from those who would seek to take their stuff. The FAQ has lots more information about the game, though it’s a little light on details regarding monetization. On that front, Bohemia says that gameplay is the top priority right now and when monetization is added, it won’t provide an “unfair advantage” and that everything will be available through gameplay, minus Founder’s Pack perks. 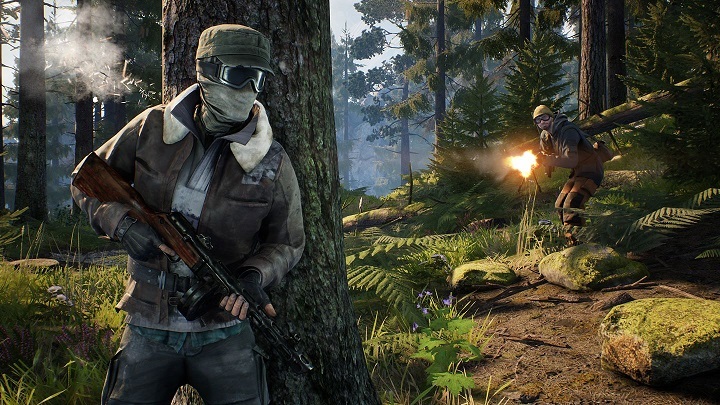 Although Vigor describes itself as a “shoot ‘n’ loot game,” it has much more of a basic survival look to it, with a maximum of 16 players on a server. Naturally, this should make people wonder about the development of that “other” Bohemia survival game, DayZ. Bohemia addressed that, as well as the status of its other games, in Vigor’s reveal announcement, saying that “DayZ 1.0 is scheduled to go live on PC later this year.” Take that for what it’s worth. Oh, and there’s no mention of Argo. You can pick up the Founder’s Pack for Vigor right now for $19.99 to get into the game, or wait until it goes free-to-play — well, it’s on Xbox One, so you’ll still need to pay something — which is currently scheduled for February 2019.